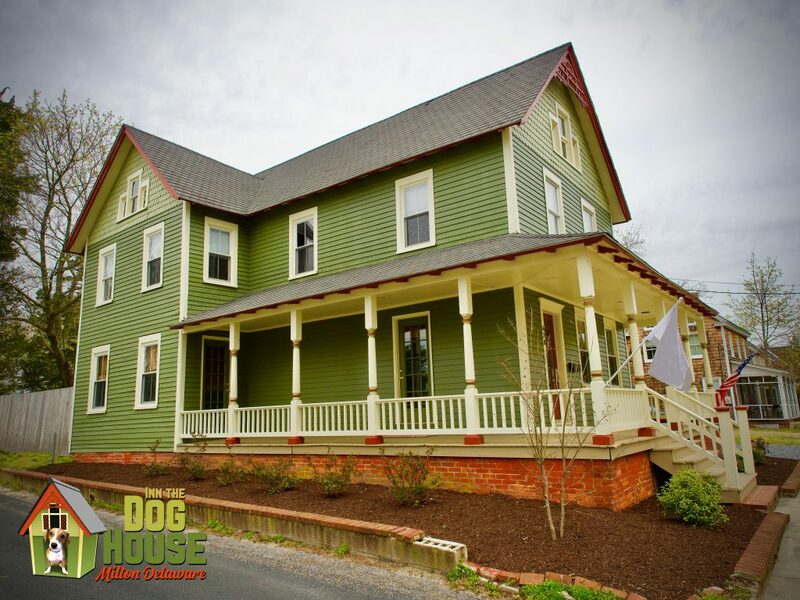 Inn The Doghouse- Guesthouse - Milton, DE | It's Fun Inn The Doghouse - near Dogfish Head Brewery! 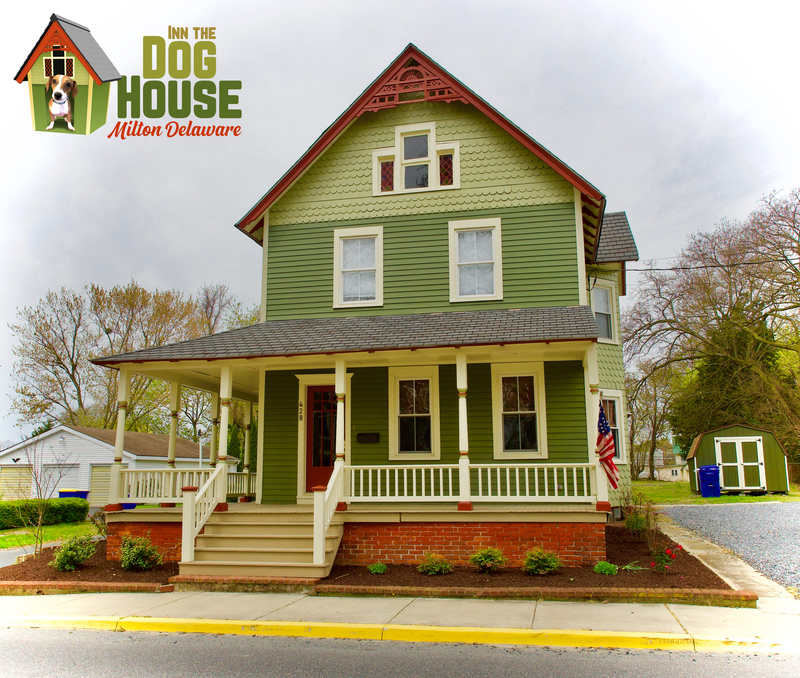 “Inn the Doghouse” guesthouse is a renovated 100 year old listed historic home located just steps from Dogfish Head Brewery & Tasting Room, Milton restaurants and bars, and only 6 miles from the Delaware Beaches. 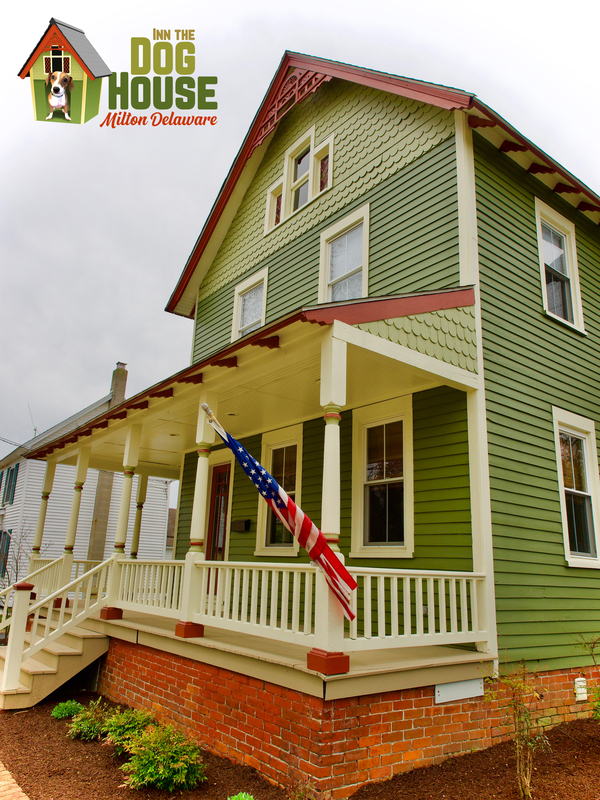 The Victorian home is perfect for folks looking to travel to Delmarva for romantic getaways, beach visits, microbrewery tours, or an escape from the city. We love to accommodate couples, small groups and business travelers. 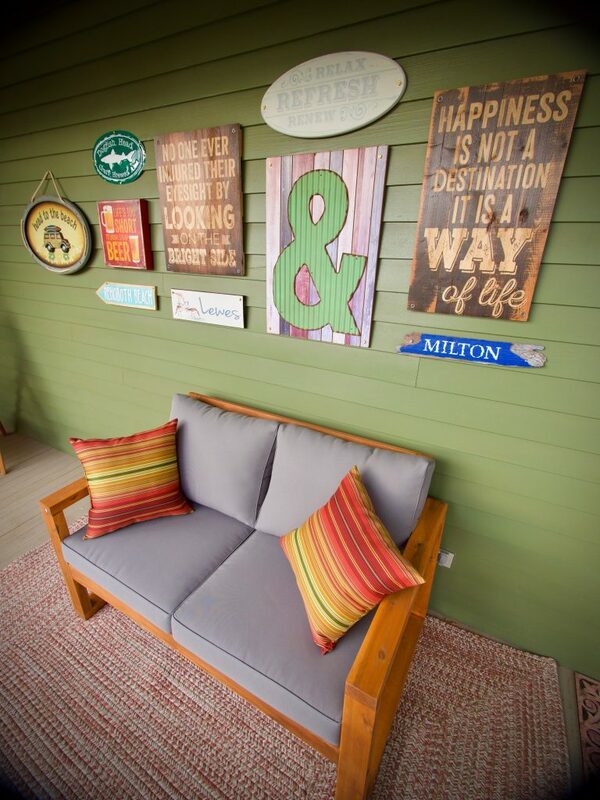 The accommodations are impeccably decorated in vintage goodness and nods to historic Milton. It’s within walking distance of some of the hippest places in town – there’s always something going on in Milton and the surrounding areas. We have 2 private Queen Bed rooms, both share a communal bathroom and you’ll have access to the kitchen, dining and lounge area (with TV), wrap around porch ideal for coffee breaks and beers as the sun sets. And in the backyard, there is a playing field, fire pit and BBQ grill. 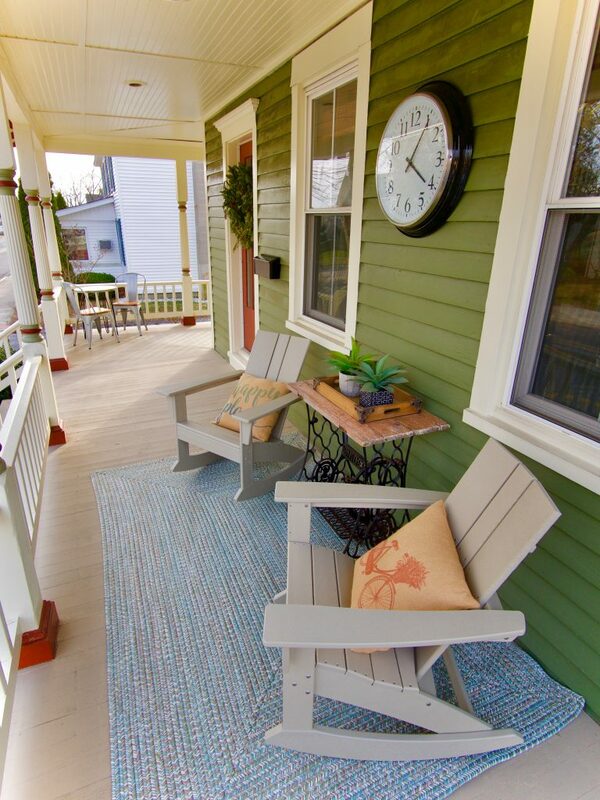 Savor the romantic old-world charm of days-gone-by while enjoying your morning coffee on the porch and sip delicious Dogfish Head beers around the fire pit as the sun sets in on a property with all modern conveniences. Annette and Mal live on property and are available to assist in your needs but will let you get on with enjoying your vacation! And of course, at “Inn the Doghouse”, we are pet friendly! It doesn’t get better than this in Milton! 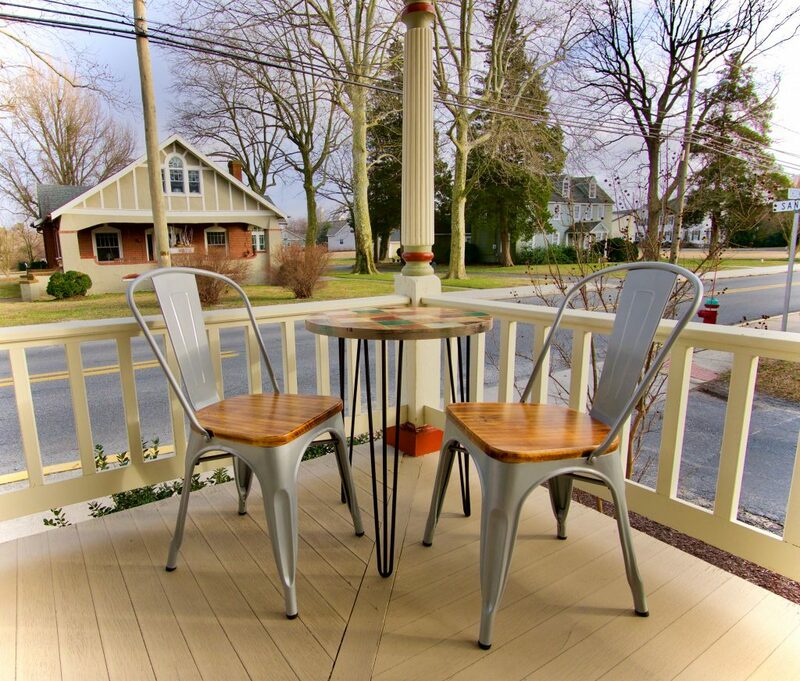 The accommodations are impeccably decorated in vintage goodness and nods to historic Milton. It’s within walking distance of some of the hippest places in town – there’s alway something going on in Milton and the surrounding areas. With nods to historic Milton, relax and put your feet up in this truly stunning room. 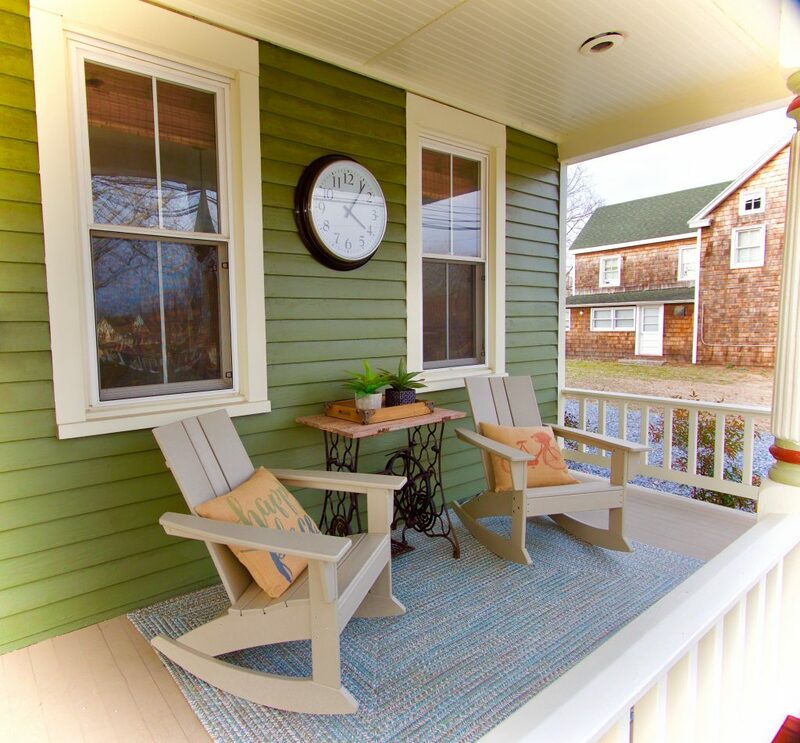 The Farmhouse room is rustic, modern and filled with farmhouse charm! Soaked in soothing turquoise colored walls, white sheets, LOVE marquee, and fun beach accents. The Beach House room is chic, fun, and inviting!